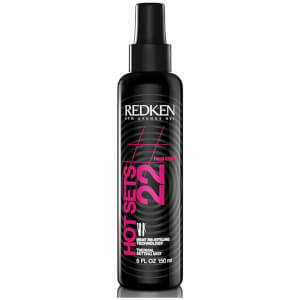 Give your hair a long lasting hold with this Redken Pure Force 20 finishing spray. 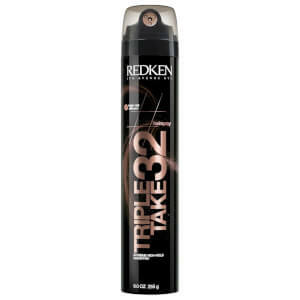 Its advanced formula delivers a clean, firm finish that will also give your hair a strong and shiny look all day. Really excellent spray. Holds my fine hair in place until I choose to brush it out. Copes very well with high humidity too. Doesn't dull the hair either. I wear my hair in a messy way sometimes and at others in a relatively sophisticated style and it works for both. A relatively recent discovery and I'm very pleased with it. I have used many hair products over 50 years and I can honestly say that Redken Pure Force 20 is the best by far, not only does it keep the style when sprayed, but it also brushes out easily. This is a product that I would recommend to anyone. 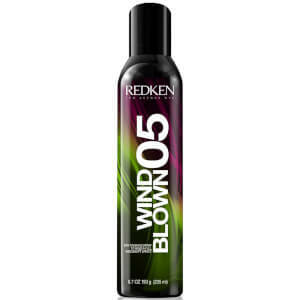 I am often complimented on my hair style which is down to this product. I have used many hair products over 50 years and I can honestly say that Redken Pure Force 20 is the best by far, not only does it keep the style when sprayed, but it also brushes out easily. This is a product that I would recommend. Wow, how dud I live without this hair product. Used this for the first time by accident, a friend was raving about it so I had to try it for myself....Well I am so glad I did as it does all the label promises it will do and more.....I like it because although it's a light hair spray it holds your hair whilst allowing movement and shine........Hair appears healthier and is soft to the touch and easily brushed out leaving no residue, Top marks for Pure Force 20.....have bought 6 just in case I run out. Good hold spray with no stickiness. Adds a bit of shine, even to blonde hair. Good value. This is the best hairspray I've tried in a long time. It has great hold, even in humid conditions. I've just bought a couple of extra cans as a stockpile!